Philip Waldman D.O. FSCCO, Registered Osteopath and Cranial Osteopath (Cranio-Sacral Osteopath) in Chelsea at Chelsea Natural Health Clinic, Fulham Rd, SW10. 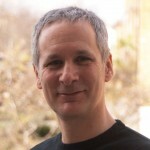 Philip Waldman, an Osteopath of over 25 years standing is a director of Chelsea Natural Health Clinic. Believing passionately in the potential of Osteopathy to help create health and vitality, he has dedicated many years to helping his patients achieve their goals through support, treatment, exercise and advice. He trained at the British School of Osteopathy, London between 1987-1991 during which he also studied Cranial Osteopathy (also known as Cranio-Sacral Osteopathy), being one of the first ever students to graduate with a pre-graduate training in the technique. Since graduating Philip has spent many years enhancing his skills as a cranial osteopath and is a Fellow of the Sutherland Cranial College (FSCCO). On graduating he joined a busy practice in Leominster, Herefordshire as an assistant to Simon Liechtenstein and Sally Lonsdale. He spent two years working in their practice, where under their wonderful mentorship he learnt many new approaches and techniques, and further developed his practice of cranial osteopathy. He subsequently started his own practice in Chelsea, London in 1992 and has remained there since. In attendance 3 days a week, Philip has maintained his interest in a wide variety of techniques. He has also worked extensively with pregnant women to work towards the best possible birth experience. He has extensive knowledge of natural childbirth techniques and optimal foetal positioning methods and was truly blessed when both his daughter and son were delivered at home in a birth pool. Not confining himself to pregnancy and baby related work he also has a busy general practice, treating all manner of problems. Philip also has a special interest in the treatment of migraines. Not one to stand still intellectually Philip regularly attends courses and seminars such as those run as part of the pathway for the Sutherland Cranial College to further himself as a practitioner and improve his knowledge base. He is always available to discuss any issues or answer any questions you may have, so please do feel free to contact him at the clinic, on his mobile which is 07973 286667 or Email Philip.